A baseball batter’s shoulder is an injury unique to batting that causes a posterior labral tear in your non-dominant, leading shoulder which faces the pitcher. What is a batter’s shoulder? Baseball batters generate a ton of torque. That can put a lot of force on the shoulder. The shoulder at risk for developing a batter’s shoulder is your inside shoulder, or your leading shoulder. A common story is that the batter swung hard, typically on a pitch that was low and inside. They immediately noticed severe shoulder pain. Most batters will also feel a pop and the majority of the batters I have seen with this also state that they felt like their shoulder came out of place. The game is over that day for the batter. What happened? When the batter swung hard the inside shoulder was forced backwards or posteriorly. The ball of the shoulder actually dislocated posteriorly. When that occurs it will cause a tear of the posterior labrum. 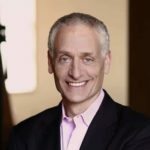 The labral tear will make it easier for this to happen again, which is why many elite baseball players with a batters shoulder will ultimately have surgery to repair the labral tear. 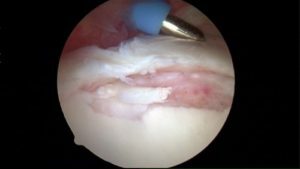 What is the posterior labrum? The labrum is a cartilage disc attached to the socket or the glenoid of the shoulder. The labrum acts both as a bumper and as an attachment point for the ligaments of the shoulder. The bumper helps prevent the shoulder from dislocating. The ligaments also help prevent the shoulder from dislocating. In the picture below, the metal pointer is touching the posterior labrum, which is torn from the bone beneath it. If the posterior labrum is torn then the ligaments are loose and the bumper effect is no longer working. That is why a labral tear, in young athletes, will often allow the shoulder to dislocate more easily. 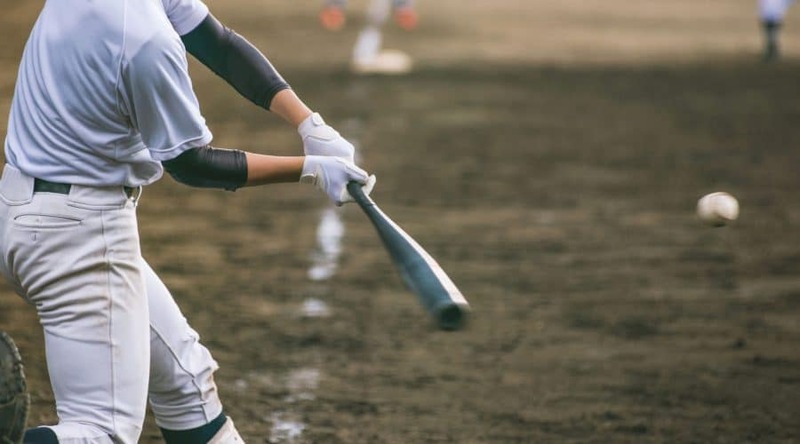 Why does a batter’s shoulder occur? There are various thoughts on why a batters shoulder might occur. It may simply be bad luck after a hard cut following a ball that’s low and curving inside. It might also be due to the batters form, and whether or not they drop their top hand off the bat like Charley Lau taught in his day. We’ll stick with bad luck for now. Once a batter has had a posterior dislocation and a labral tear of their lead shoulder they are at risk for dislocating again. Some surgeons might consider fixing the posterior labral tear after the first dislocation. Other surgeons favor trying physical therapy to restore strength and mechanics and wait to see if a second dislocation occurs. Once a second dislocation occurs, most surgeons would agree that a repair is worth the risks of surgery. 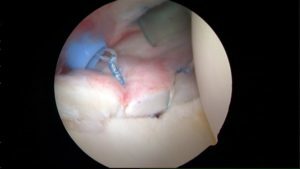 Below is the same posterior labrum you saw above, after it has been sutured or stitched back into place. Most baseball players are able to return to playing baseball after a successful repair of the posterior labrum. It will take many months before you are allowed to start batting practice. It takes at least 3-4 months for the labrum to start to heal strong enough to allow for a return to aggressive strengthening and drills. Many surgeons will make their athletes wait 6 months or more before allowing them back into the batter’s box. ← Do I need a knee replacement?